As a Mid-Atlantic city, we have an abundance of squirrels, raccoons, opossums, skunks, and groundhogs. There are some snakes in Eastern Maryland, but they are usually harmless. The most common bats are the Little Brown Bats or the Big Brown. In the city of Baltimore, we often handle rat problems and pigeon issues. We service the greater Baltimore region, including Anne Arundel County, Baltimore County, Carroll County, Harford County, Howard County, and Queen Anne's County. 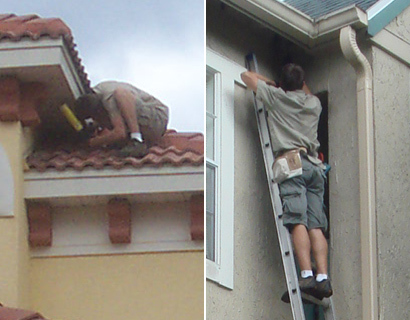 We service the towns of Columbia, Towson, Aberdeen, Annapolis, Bel Air, Catonsville, Dundalk, Ellicott City, Glen Burnie, Havre de Grace, Joppatowne, Owings Mills, Westminster, and more. 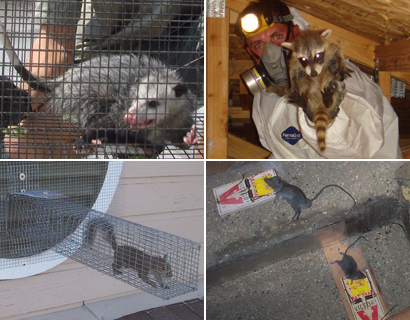 To learn more about our services, visit the Baltimore wildlife control home page. If you want a yard that is free from animals, you may find yourself in a bit of a battle with the not so humble opossum! With a string of babies behind them, and a scavenging mind that us humans will probably never understand, there is a reason why these critters have been around since the ages of the dinosaurs, and will give you a great indication of exactly how stubborn this creatures are once they make your yard their home. Eliminating an opossum from your yard is going to be a tough one if you are not armed with good knowledge. 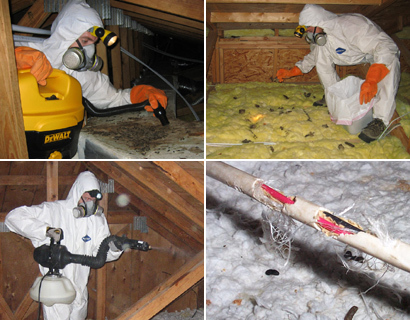 For example, they love piles of wood and brush, so by getting rid of these, you will be one step closer to removing the issue. However, there are a lot more things to take into consideration than just this, especially if you don’t want to rely on wildlife control experts to do the job for you. Thankfully, however, help is at hand! Pop-up or easy traps. These are created to be as simple as possible to set up, and therefore are practically fool proof. Single door traps. This is a longer trap with just one door, as the name suggests. The creature goes into the trap, the trigger is set off and the door closes behind it to ensure the opossum cannot get out. Double door traps. This is the same as a single door trap, but as the name suggests, has a door at either end of the trap itself, making it look like less of a trap. Clever, huh? 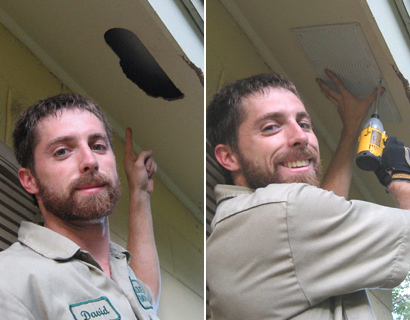 There are a few things that you are going to want to watch out for with opossum trapping. You need a trap that is large enough to actually trap the creature, and on top of that, you are going to want the trap to be durable enough to withstand both weather conditions, and a very upset animal that is just waiting to bust their way out. On top of this, you are going to want the trap to be safe – what is the point in buying a humane style trap, only to hurt it with sharp edges, cutting wire or similar? Last, but certainly not least, you want a trap that is actually going to work, not one that promises great results and doesn’t deliver. This means that you should purchase from a reliable and reputable source, more information on which you can easily find online. Fruit. Opossums love fruit, and two of the best that you can use as bait are oranges and apples. Fish. If you have some leftover fish for dinner, you can use that. Alternatively, you can use a tin of tuna that has been sat in the back of your cupboard for a while, and even a tin of sardines. You may want to make sure that there is no flavoring on the sardines, or oil left with the fish – these could cause the animal a stomach upset. Lastly, the opossum loves pet food, so if you have a dog or cat, sacrifice some of theirs to be used as bait. What is Best Brand of Cage Trap?